"The Dead Sea Scrolls: Judaism and Christianity ." Schiffman, Lawrence H, and Martínez F. García. The Courtyards of the House of the Lord: Studies on the Temple Scroll. Leiden: Brill, 2008. ebook. Schiffman, Lawrence H, and Shani Tzoref. The Dead Sea Scrolls at 60: Scholarly Contributions of New York University Faculty and Alumni. Leiden: Brill, 2010. ebook. Schiffman, Lawrence H, and James C. VanderKam. Encyclopedia of the Dead Sea Scrolls. New York, N.Y: Oxford University Press, 2000. Print. Schiffman, Lawrence H. From Text to Tradition: A History of Second Temple and Rabbinic Judaism. Hoboken, N.J: Ktav Pub. House, 1991. Print. Schiffman, Lawrence H. Pharisaic and Sadducean Halakhah in Light of the Dead Sea Scrolls: The Case of Ṭevul Yom. Dead Sea Discoveries . Vol. 1, No. 3 (Nov., 1994), pp. 285-299. Schiffman, Lawrence H. Pre-Maccabean Halakhah in the Dead Sea Scrolls and the Biblical Tradition. Dead Sea Discoveries Vol. 13, No. 3. (2006), pp. 348-361. Schiffman, Lawrence H. Second Temple Literature and the Cairo Genizah. Proceedings of the American Academy for Jewish Research Vol. 63 (1997 - 2001), pp. 137-161. 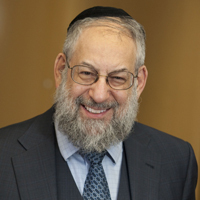 Schiffman, Lawrence H. Semitic Papyrology in Context: A Climate of Creativity : Papers from a New York University Conference Marking the Retirement of Baruch A. Levine. Leiden: Brill, 2003. ebook. Schiffman, Lawrence H. Texts and Traditions: A Source Reader for the Study of Second Temple and Rabbinic Judaism. Hoboken, NJ: KTAV Pub. House, 1998. Print. Schiffman, Lawrence H. The Unfinished Scroll: A Reconsideration of the End of the Temple Scroll. Dead Sea Discoveries Vol. 15, No. 1, (2008), pp. 67-78.